These easy-to-use moistened towelettes condition the skin for improved fingerprint impressions. 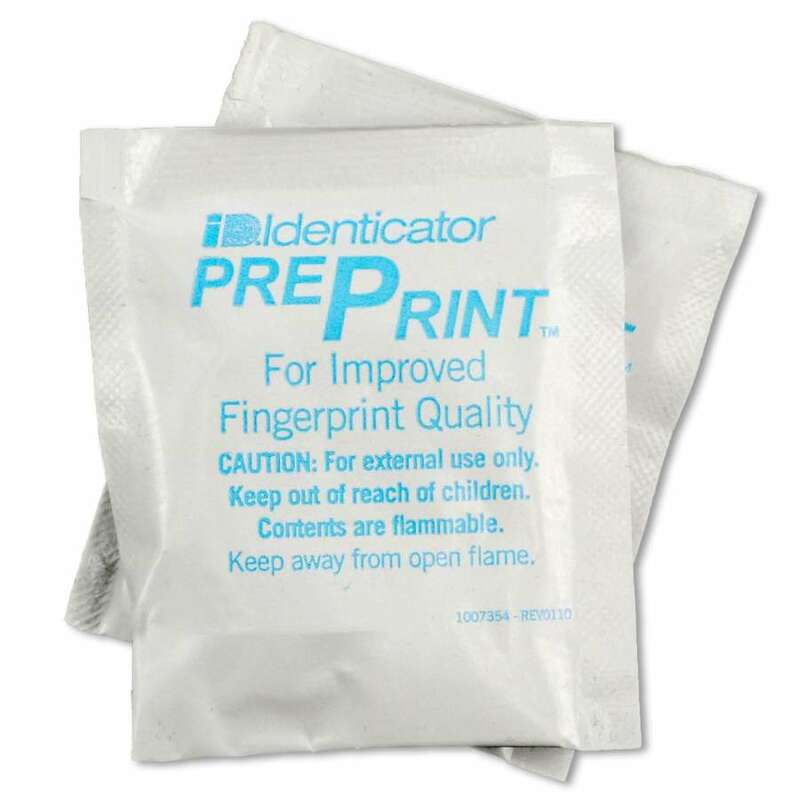 Applied before fingerprinting, they eliminate excess moisture that can interfere with obtaining clear fingerprints. It also works to soften dry skin and includes a special ridge enhancing formula to accentuate the fingerprint details of individuals who have worn or light ridge detail. PrePrint towelettes are hermetically sealed for a nearly indefinite shelf life and come in a pack of 10 towelettes.